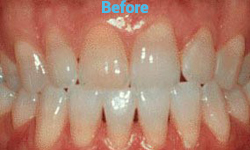 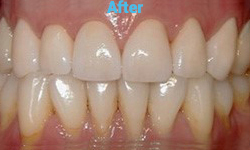 The patient smile was restored with 8 Porcelain Crowns (Caps). 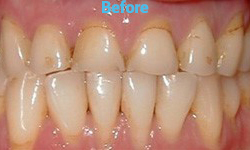 This is example of a patient had an implant and before and after pictures attached. 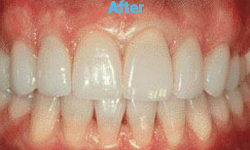 The next two example were taken with an intraoral camera to show before and after replacement of an amalgam filling with a composite (white) filling.